European Commissioner Pierre Moscovici told EURACTIV France that electing Marine Le Pen and leaving the EU would deal a fatal blow to the European project. 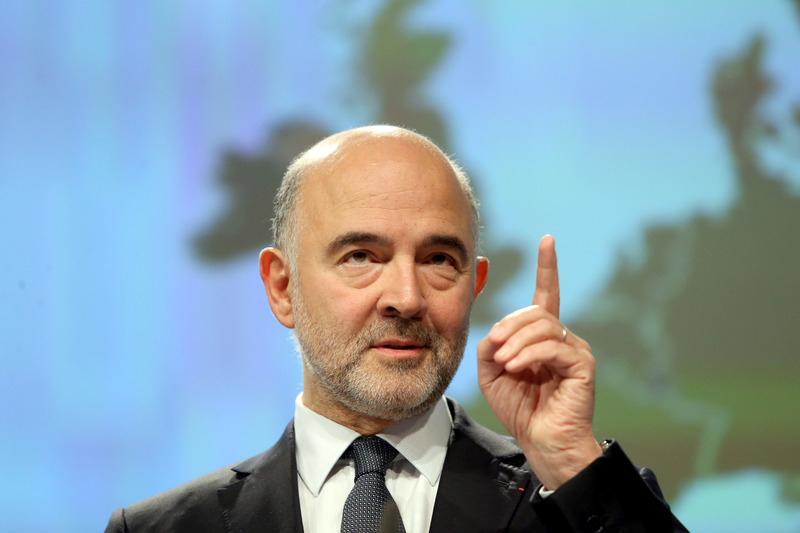 Pierre Moscovici has been European Commissioner for Economic and Financial Affairs, Taxation and Customs since 2014. He was France’s finance minister between 2012 and 2014. Moscovici spoke to euractiv.fr’s Cécile Barbière. The first round of France’s presidential election takes place in two weeks. What do you think of Europe’s place in the debate? In terms of Europe, the campaign lacks momentum. It’s like in the last debate: interesting, unpredictable, sometimes confusing and, in some respects, worrying from a European perspective. Europe is on the agenda but not high up enough. There is especially criticism of Europe but few solutions and clear ideas. As so often in France, Brussels gets it in the neck and Europe is saddled with all its difficulties. That gives the Eurosceptics too much room to manoeuvre. But nothing justifies French Euro-pessimism. Look at the worrying trend going on in France in terms of Europe, Euroscepticism is undoubtedly a force to be reckoned with. But I would still make a distinction between Marine Le Pen and the others. Madame Le Pen represents a nationalist faction that wants ‘Frexit’; France to leave the EU and the euro. In my view, that is a fatal position to take for Europe and a terrible one for France. 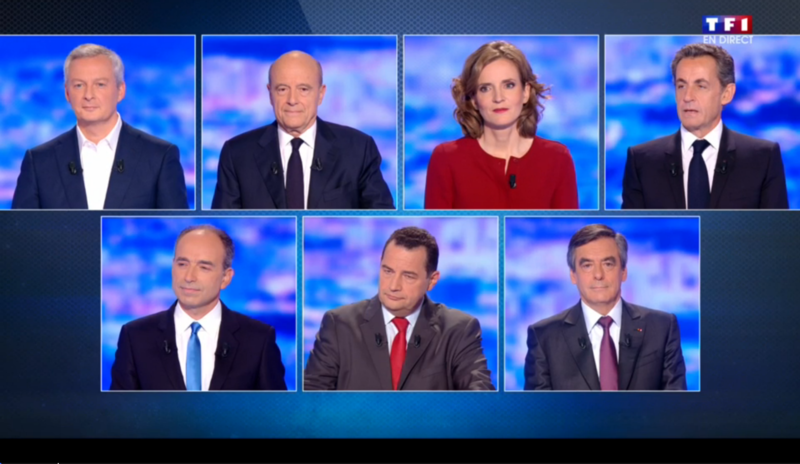 The seven candidates vying for the French right’s presidential nomination squared off again in their second televised debate last night (3 November). But European issues were largely absent from the proceedings. EURACTIV France reports. 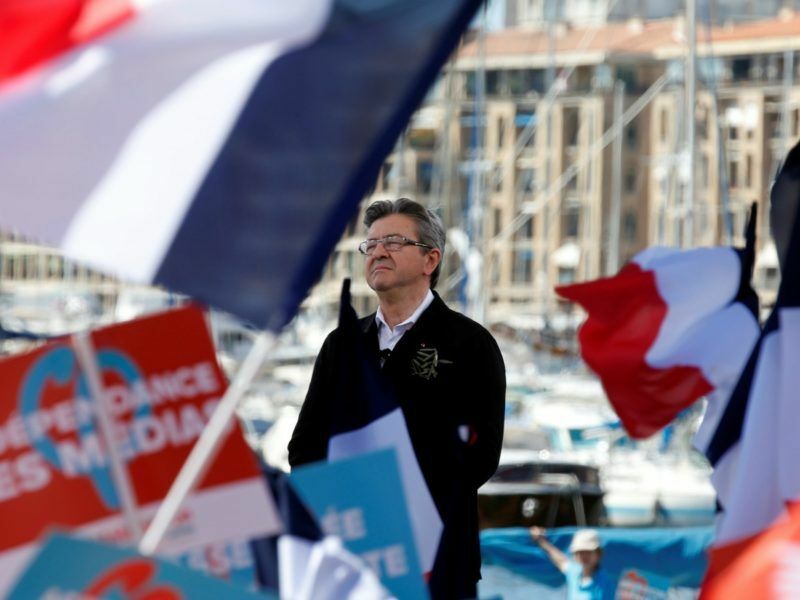 After Brexit and Trump’s election, the French elections represent a fresh chance for the populist wave to cross the political line in the sand. Does the European Commission have a plan B in place in case the anti-Europeans of the extreme right triumph? Never have a plan B because that means you don’t believe in your plan A. Plan A is strong France anchored within the EU. I see that many observers around the world and in Europe itself are worried about Madame Le Pen winning this election. Personally, I think that the chances of that are more than improbable. I see no reason why more than 50% of French voters would put their confidence in a project as suicidal for France and dangerous for the EU as this one. But the simple fact that Le Pen, in all the polls, will make it to the second round with 40% of the vote is already a symptom of something wrong in France. Pro-Europeans will have to find their voice again in the months and years to come. 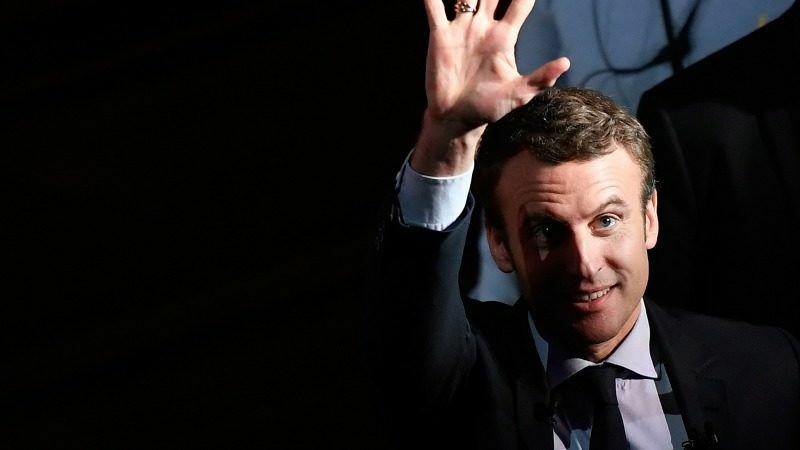 Several of the candidates have voiced their strong criticism of the current functioning of the EU, whereas Emmanuel Macron has taken a very pro-European line. The candidates of the two traditional parties, whose remarks have been more moderate, have been all but silent on Europe. So the debate is polarised? I don’t want to get into assessing the candidates. For me, there is Madame Le Pen and then there are the others, who have an extremely different outlook to that of the EU’s. More than 70% of French people are fundamentally attached to the EU, in spite of their scepticism, their doubts and their fears. Do not confuse the destructive tendencies of Le Pen with the positions of the other candidates, who just have a more sceptical appraisal than traditional European positions. Emmanuel Macron has an undoubtedly European engagement: that’s fortunate. But there isn’t just one candidate that is committed to Europe. One candidate alone cannot be given the monopoly on defending Europe. All the main candidates, except Marine Le Pen, have more or less a European vision of some sort. Emmanuel Macron’s vision for the future of the European Union has made him a popular man in Brussels. Business and think tank leaders told EURACTIV.com why they support the up-start pro-EU politician..
Would the European project, in its current form, survive the election of Marine Le Pen? I think that the European construct, as it is, is the successor of Franco-German reconciliation and the need to overcome the deadly legacy left behind by the Second World War. This pairing is at the heart of Europe. If one of those pillars disappears then the European construct as we know it would lose a large portion of its sense of history, of its political clout and of its capacity to shape the world. That is why Marine Le Pen’s project is unacceptable to Europeans. But also for the French, particularly those who stand to pay the price if Frexit were to happen, if France were to leave the euro, through inflation and massive job losses. I do not believe in either his plan A or his plan B. His plan B is about leaving and that is dangerous. And I don’t think his plan A is at all feasible. In order to change Europe, and it does need change, you need to be a part of it. We always need to be ready to compromise, firstly between France and Germany, with the support of the Commission, in order to change Europe. The idea of a comprehensive and unilateral renegotiation of the treaties isn’t compatible with the very DNA of Europe. It takes a combined effort but an all-out attack on the treaties will only leave the attacker isolated and, ultimately, powerless. I think that unlike Le Pen, Mélenchon genuinely wants to change the EU but his method risks leading us down a dead-end. If the polls are to be believed, Socialist candidate Benoît Hamon doesn’t look like making it to the second round. If this trend continues, who would be the best fallback candidate for the Socialist vote and for you? I don’t think like that I’m afraid. I think that the most useful vote is the one that is used to avoid the worst case scenario. And the worst case scenario is Marine Le Pen. I’m not revealing my voting preference as a European Commissioner. I understand that the voters on the left have many choices but I remain a Socialist and the Socialist Party (PS) remains an indispensable force for democracy. I don’t think that erasing the moderate right and left is a good move for France. I had the chance to discuss Hamon’s European programme with him, both our points of agreement and contention. But Benoît Hamon is a pro-European candidate from a pro-European background. Several candidates, including Hamon, have presented ideas that would reform the eurozone. Do you think that this type of project should be pursued as soon as possible? Three candidates have raised the issue of eurozone governance: Benoît Hamon, Emmanuel Macron and François Fillon, and their ideas differ greatly. This issue has to be highlighted. The euro remains popular because it is a bulwark against inflation and fluctuations but it doesn’t stimulate the economy. If we are not able to start a serious project on the eurozone in the coming years, including the creation of a eurozone budget to boost investment, then we are going to be faced with some serious difficulties. In terms of democratic control of the eurozone, I think that we need to build on the existing institutions and change them. Democratic control could be exercised by an entity such as the European Parliament. We also need a eurozone finance minister or a high representative. I have made my own proposals on eurozone governance and those propositions have been largely reflected by Emmanuel Macron. 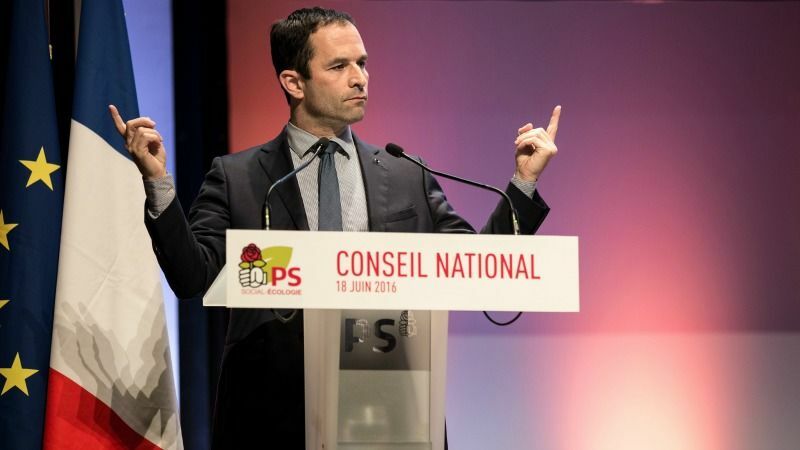 Benoît Hamon’s proposal of an international treaty between the eurozone countries to increase democratic control of the single currency has raised eyebrows on the left, where such sovereigntist manoeuvring is viewed with suspicion. EURACTIV France reports. The fight against tax evasion is one of the EU’s priorities and is in your portfolio. But it doesn’t seem to have been that prominent in the presidential campaign. What do you think of that? It’s a shame. It’s a subject that ranks high in the public’s list of priorities. After the effort made by European citizens after the 2008 financial crisis, we absolutely have to turn the tables with one simple rule: businesses are taxed where they make their profit. The Commission has already made considerable progress in eliminating off-the-books banking, on country-by-country reporting and on the automatic exchange of tax information. We’ve done more in the last two years that what was done in the preceding 15. But it can’t stop there. I want this cause to be defended by the next French president to the same degree it has been championed by the current one. What should be the priority issues of anti-tax evasion efforts by the next president when they take office this year? Much remains to be done. For this year, I have three examples that will need the support of France’s president. Namely, everything regarding intermediaries and middle-men, those individuals that help facilitate tax evasion; setting up a blacklist of tax-havens; and tackling VAT fraud and setting up a consolidated tax base for companies, at last. EXCLUSIVE / The EU’s tax haven blacklist is taking shape, as the European Commission uses the momentum generated by the LuxLeaks and Panama Papers scandals. 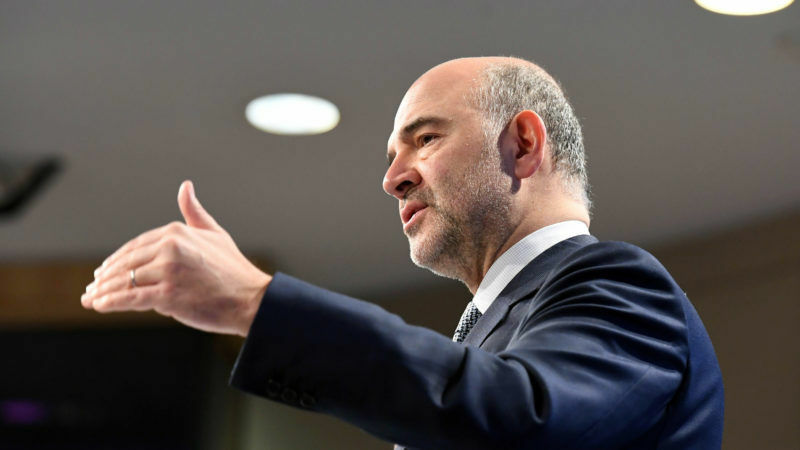 Tax Commissioner Pierre Moscovici did not rule out including the United States on the list, in interview with EURACTIV.com. All the candidates seem committed to trying to overcoming the 3% deficit rule, which France has to drop below in 2017 in line with EU rules. Contrary to what some may think, this rule is not an act of punishment, it is a necessity. Currently, just two eurozone countries out of 19 are above the 3% line: Spain and France. According to our estimations, France’s deficit is projected to drop to 2.9% and will, as a result, free itself from the excessive debt procedure. The message I want to send to the candidates is that continuing to rack up debt will jeopardise the future. It is extremely important to the budgetary credibility of France. France has long been expected to meet its commitments and it is on the cusp of doing so. Backing out of them now would tarnish the image of the country. France cannot allow a situation where in 2018 it is the only country above 3%! France’s job is to be the engine of Europe, not a carriage along for the ride. Respecting 3% isn’t optional. It’s a political necessity. 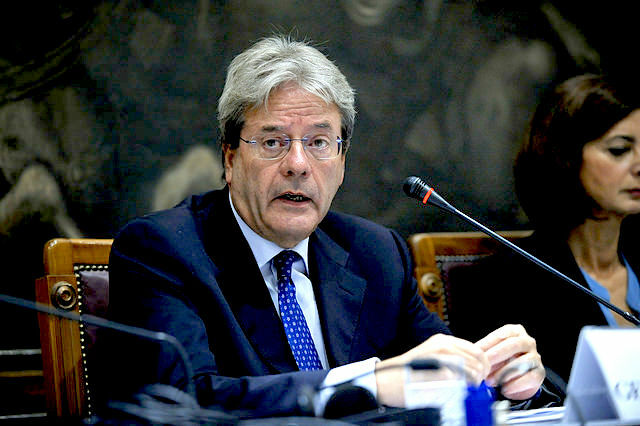 Italy’s debt-burdened government approved a package of economic reforms Tuesday (11 April) designed to cut €3.4 billion from its deficit this year, Prime Minister Paolo Gentiloni said, following pressure from Brussels. I really don’t care anymore who’s electing who since elected national leaders inside the Eurozone acts with high nationalism and promotes Austerity since they rejected the real E.U. Governance and loses the ability of real European values and Spirits. Those national Leaders are loosing pro-europeans and rising Eurosceptisissm.